Dear Reader, You don't know me yet, but in a few hours that's going to change. You see, I'm inviting you to my home and my town of Cedar Cove because I want you to meet my family, friends and neighbors. Come and hear their stories—maybe even their secrets! What a vividly real story. 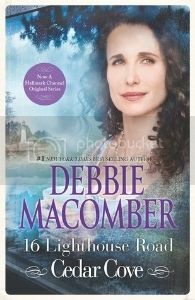 Macomber develops this world with a downplayed vigour that draws you right into the heart of Cedar Cove. I also appreciate the fact that although this town is very well developed throughout this first novel of the series, Macomber doesn`t reveal all of its secrets, leaving more to be explored in future instalments of the series. Through this town she tells a brilliantly crafted tale that will go straight to your heart. Macomber evokes your imagination and your emotions throughout. By the end you are left with a sense of completion & happiness while still needing to return to the town of Cedar cove for yet another adventure, making this the perfect introduction to a series that stands out in the crowd. Getting to know the characters in this town is priceless. Although there is a `main couple` who`s story we live alongside them, readers also get to know many other individuals from the town. Macomber`s cast is as varied as the town itself. You can`t help but be drawn to a favourite character and to try to insert yourselves in the lives of those you`ve come to know so well. (Yes, I definitely found myself trying to give individuals advice more than once). Macomber doesn`t simply develop her characters, but also the town itself. I love how the town of Cedar Cove becomes a character in its own right. It comes alive under Macomber`s careful tutelage. 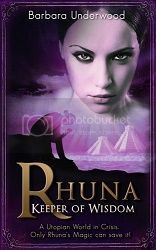 This is a well written and solidly put together novel that will worm it`s way into your heart. The town and characters are absolutely unforgettable. This is a must read for romance enthusiasts.